Amy Kuessner is the senior vice president of Content Partnerships for Pluto TV, where she is responsible for acquiring content, curating programming and developing channel strategy for the free streaming television service. During her tenure, she has negotiated more than 75 deals with major Hollywood studios, TV networks, production companies, digital media, news, and publishing outfits. Kuessner has spent more than two decades in entertainment, specializing in creating distinctive content experiences and strategic programs within emerging digital technologies to include SVOD, OTT, MVPDs and digital cinema. Prior to Pluto TV, Kuessner held marketing and business development roles at reputed companies including NBC, Liberty Media, Sony, TBS and Directv, as well as startups including CineMedia/Fathom Entertainment and By Experience. This week we caught up with Kuessner to discuss her thought process when searching for content and what Pluto’s recent integration with Facebook’s VR app, Oculus TV, means for the streamer’s future programming decisions. VideoInk: How important is data when deciding what content will be a good fit for Pluto TV? Amy Kuessner: Pluto TV has a comprehensive programming/channel strategy that naturally determines what types of premium content we are seeking and from whom. We are unique in that we curate 90 percent of our channels and there is a great deal of time, effort, and strategy that goes into channel conception/creation/programming. Data is critical to guiding us as to what is working on the platform and what is not. Using data to aid in content selection/programming our channels helps us cater to consumer preferences and make more informed choices. How do you measure the success of programming on your platform and which metric are you most focused on improving? Pluto TV uses a variety of metrics when measuring success on our platform with the two most critical being session duration (the length of time they are watching – are they enjoying the programming) and frequency (how many times they return – do they want to come back for more). Pluto TV was recently made available on Facebook’s Oculus VR headset via Oculus TV. Will this new partnership lead to Pluto TV one day offering interactive content geared for a VR experience? Pluto TV has many factors contributing to our success, content/programming and distribution being two of our key tenets. Being named an official launch partner for Oculus GO was a huge coup for us. We often work in concert, internally, to identify ways that we can marry content and distribution to create truly unique, state-of-the-art, entertainment options for our audiences. We embrace innovation as a whole, rule nothing out and are continually seeking ways to optimize and deliver content designed to deliver the maximum viewing experiences – no matter the medium. “Starship Troopers,” a cult classic, was recently made available on Pluto TV via a distribution deal with Sony Pictures. What levels of engagement does cult classic content like this experience versus newer films? With over 100+ channels on Pluto TV, we strive to offer the best of both worlds with a lineup that marries mainstream with niche channels and programming. Cult classic films are one example where we are able to generate crossover appeal by programming across multiple themed and movie channels, throughout our licensing window. Pluto TV’s focus on curation and original channels allows us the opportunity to evaluate titles, library and new, with a different perspective and opportunity by focusing on category, theme and genre vs. production and release dates. When working out the details of a content partnership, which holds more value in your eyes: film or TV series? Why? Both are equally important and strategic to Pluto TV, enabling us to create the ultimate lean back, entertainment viewing experience. We curate entertainment channels and lineups thematically designed to be diverse and appealing to both broad and niche audiences. We program our channels with genre over format in mind, with both TV and movies being instrumental to our success. Big budget films help to drive instant brand recognition, while TV series allow us to capitalize on habitual viewing patterns. Together, they enable us to deliver the most comprehensive and robust offering that is designed to attract mass appeal and provide entertainment for everyone. 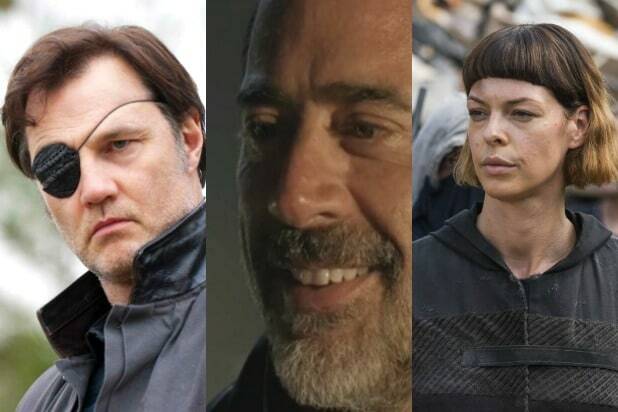 On “The Walking Dead,” plenty have tried to lead, but few have been successful. Here we look back on all those who led others to safety — or their graves. 14. Gregory (Alive) of the Hilltop Colony. Gregory no longer is in charge, thankfully — he was maybe not the kind of leader anyone ever needed. 11. Natania (Deceased) of Oceanside. Emotionally scarred by their brutal defeat at the hands of the Saviors — after which Negan had every male above age 10 executed — Natania sort of fell apart, like so many characters do, because of the trauma. 10. Gareth (Deceased) of Terminus. Gareth and his fellow Terminus residents promised weary travelers sanctuary, only to kill and eat them cannibal style. He became obsessed with getting revenge on Rick, eventually leading to his death at Rick’s hands. 5. Jadis (Alive) of The Scavengers. With all of her people dead now, Jadis is not actually a leader anymore. But when she was a leader, by “Walking Dead” standards Jadis was extremely reasonable for somebody who leads a group of people who live in a junkyard. And making Rick do gladiator fights with armored walkers was pretty funny. 4. Negan (Alive) of The Saviors. Also no longer a leader, but when he was Negan ruled The Saviors through a combination of charm and savagery. He’s fun to watch! 3. Maggie (Alive) of the Hilltop Colony. Obviously, she’s much better as the boss of the Hilltop than Gregory ever was, and her pragmatism is currently a pretty nice contrast to the idealism of Rick post-Carl. 1. King Ezekiel (Alive) of The Kingdom. His kingdom is gone thanks to the Saviors, but his legacy is still pretty solid. He kept that place going as long as he possibly could have, and he wasn’t a coward when it came time to choose sides in the war with the Saviors.